During a press conference over the weekend, Warner Bros. Japan announced that a Ni no Kuni anime film will launch in Japan this Summer. It will be produced by Level 5. Confirmed by the AnimeNewsNetwork, Warner Bros. revealed character designs and a teaser trailer. Just like the games that inspired it, the movie has some strong Studio Ghibli talent. In the directing chair is Yoshiyuki Momose, known for his character designs in The Legend of Galactic Heroes and the storyboards for Only Yesterday and Pom Poko. Hayao Miyazaki’s longtime collaborator Joe Hisaish (Princess Mononoke, Spirited Away) is also coming back to compose the music. Akihiro Hino from Level 5 is executive producing the movie and writing its script. Lastly, OLM (Pokemon, Inazuma Eleven franchises) will animate the film while Warner Bros will handle distribution. The story revolves around Yū, a high school student, his best friend Haru and his childhood friend Kotona. 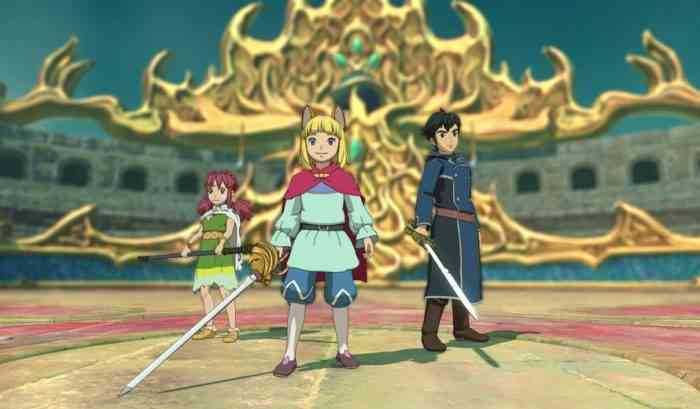 After a certain incident, the trio travels back and forth between the real world and Ni no Kuni. After Kotona’s life is put in danger, the three must make “the ultimate choice.” Protagonist Yū will be played by Japanese Death Note actor Kento Yamazaki. For more details and information, you can check out the official movie website. Are you interested in watching a Ni no Kuni movie? Share your thoughts in the comments section down below.